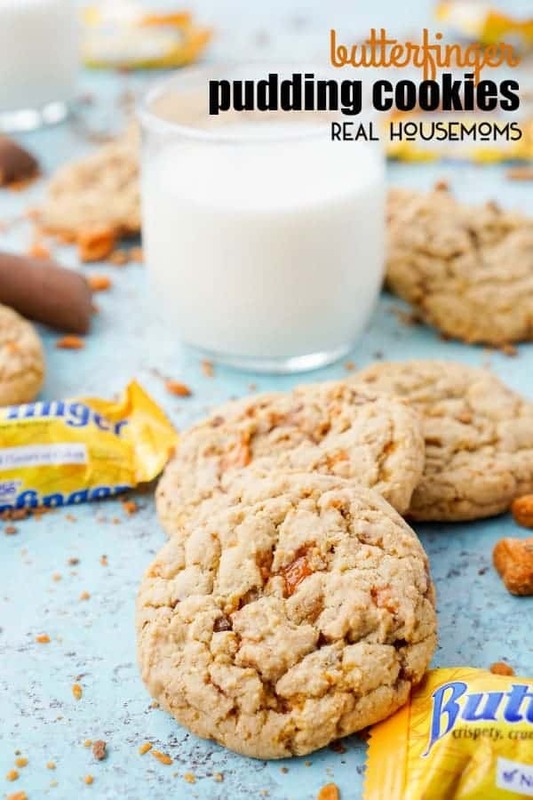 These BUTTERFINGER PUDDING COOKIES are everything you love about the classic candy bar in a chewy, buttery, sweet cookie! 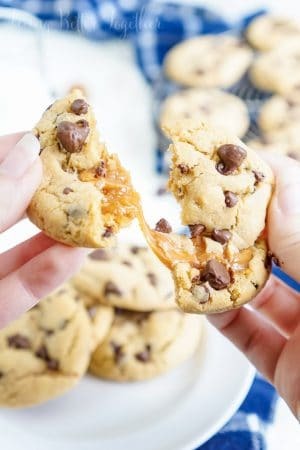 If there’s one thing I love, it’s cookies. 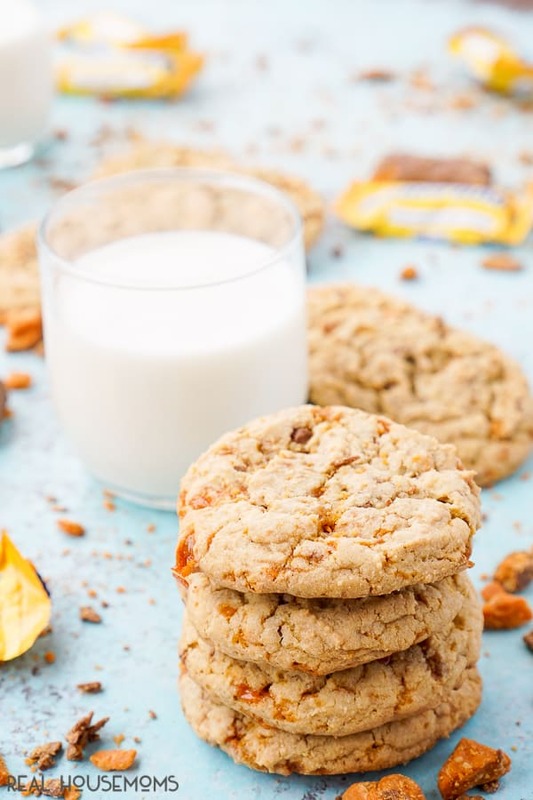 Actually, I love all things with sugar equally… so yeah, I love cookies and cake and milkshakes and pretty much anything that takes care of my sweet tooth. But when I was growing up, there was one candy bar that I only got to have on rare occasions, probably because it would get stuck in my teeth for hours. Butterfingers. I don’t eat a lot of them as an adult, but when I get a craving for one, nothing will do until I get one. 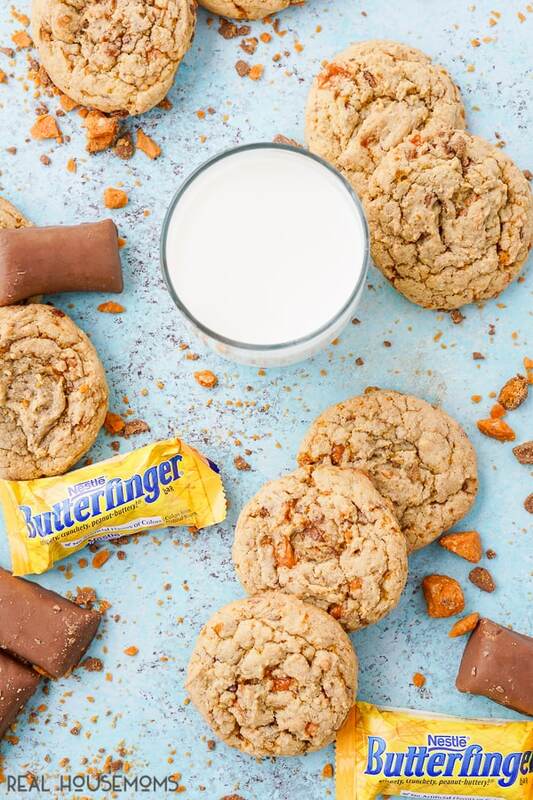 But I got really excited the first time I saw the Butterfinger Baking Bits on the shelves at the store and I knew exactly what I was going to make with them first! I made them for the first time last fall and my friends couldn’t believe that I’d made them just for them and game night (Ticket to Ride, anyone?). Usually, everything that gets made in our house that’s sweet is for the blog. But they were such a hit that I couldn’t resist making them again and sharing them with all of you! 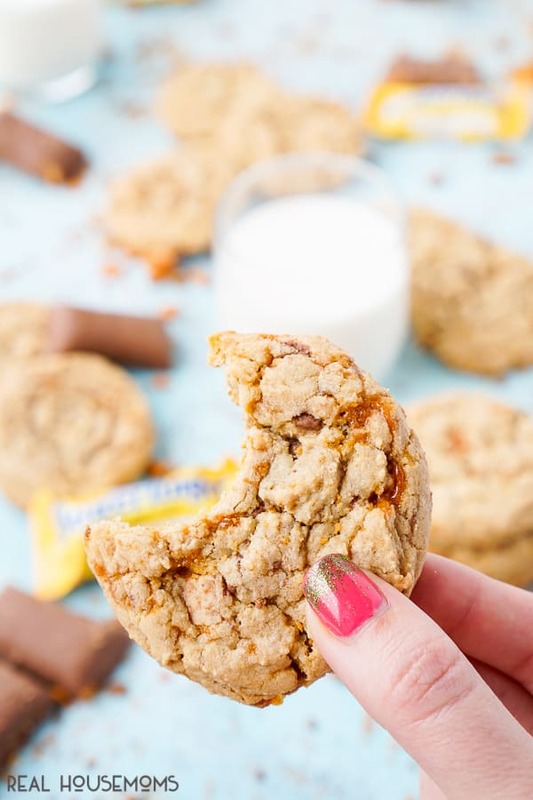 So here we are – super chewy, super buttery, super yummy Butterfinger Pudding Cookies. Did I mention this recipe makes 4 dozen? 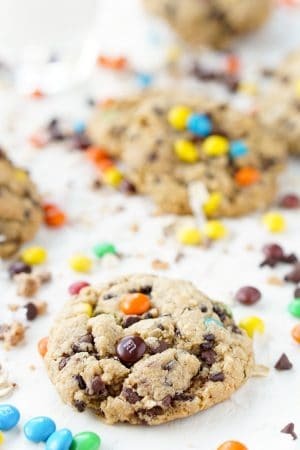 They’re perfect for parties or sharing with friends, you can even freeze some of the dough and bake them up a dozen at a time and include one in the kiddo’s lunch boxes each day. They will stay nice and chew for about four to five days! Add pudding, eggs, additional egg yolk and vanilla. Beat for about one minute on medium speed. Add dry ingredients to the wet ingredients a ½ cup at a time and mix until combined. 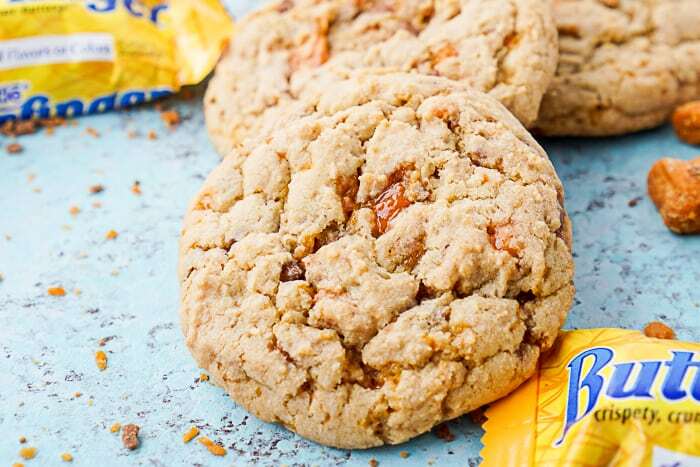 Fold in Butterfinger Baking Bits. Scoop 1½ tablespoon sized scoops onto prepared baking sheet about two inches apart. Cool on pan for a couple of minutes before transferring to a cooling rack.